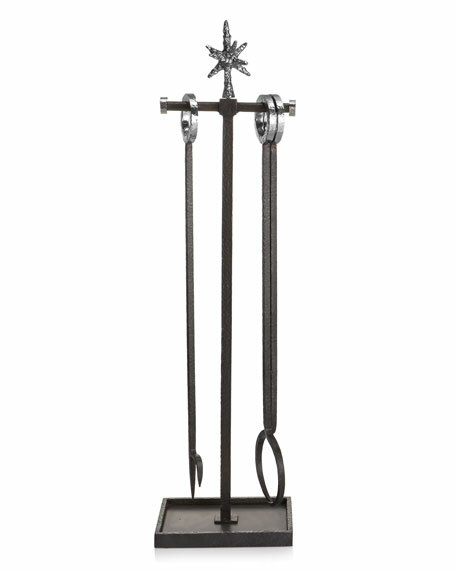 Hand-forged and sculpted fireplace tool set; no two pieces are exactly the same. Set includes stand, poker, and tongs. Crafted of powder-coated iron, stainless steel, and nickel-plated metal. 8.75"W x 5.5"D x 32.5"T overall. For in-store inquiries, use sku #1775031.